At least one good thing will come of the recent South Napa Earthquake that shook the wine country on August 24: It will lead to much better maps of active faulting in that area. The bad news: There is likely far more shake potential in the Napa Valley than was previously attributed to the faulting there. "I think it’s hard to walk away from this and think otherwise," says geologist David Schwartz of the U.S. Geological Survey in Menlo Park. 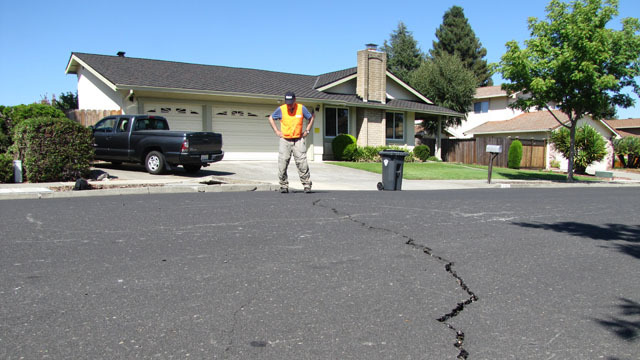 The 6.0 quake has provided an instant laboratory for geologists and seismologists, whose prior knowledge of the West Napa Fault Zone was sketchy at best. One thing that's already emerged is that the fault that triggered the 6.0 temblor is longer than they realized. "The earthquake has helped to identify some pieces of it that are clearly active," says Schwartz. That's important because prior to the shaking, all scientists knew of many area faults was that they had been active sometime within the last 130,000 years. The map below shows what teams from USGS, the California Geological Survey, UC Davis and others had plotted as of August 26, just two days after the quake. Schwartz says the map is preliminary but provides a "pretty good approximation" of the likely final map. The colored lines are previously mapped faults, red indicating the "youngest" or most recently active. Schwartz was among a battalion of scientists who have been combing the Napa Valley, looking for evidence of "lateral slip." These are essentially cracks where the two sides of the fracture moved in opposite directions. They're visual clues to the exact location of "strike-slip" faults miles below the surface. The most extreme examples found so far in the wake of the South Napa Quake show about 18 (updated) inches of lateral offset. 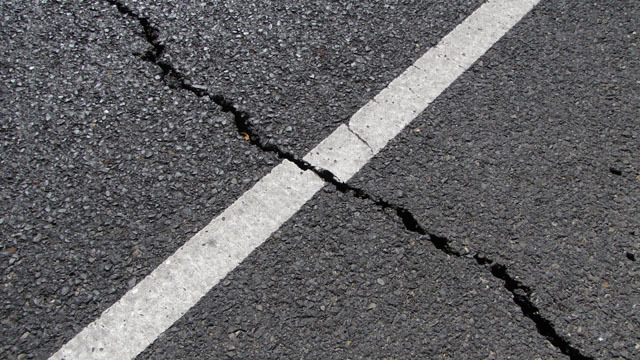 Scientists have to weed out the many instances of buckled pavement, broken sidewalks and the like, which were simply due to the shaking. Two things stand out. First, the quake caused a surprising amount of ruptures at the Earth's surface. "To me it was really surprising how well defined and long this was for a magnitude-6," says Schwartz, "which is really kind of at the threshold of the magnitude at which we actually see surface ruptures." And second, there's more going on under the west side of Napa Valley than anyone realized. Preliminary mapping of side-slip at the surface reveals a fault in the Brown's Valley Section of the West Napa Fault Zone that extends well beyond what was known. One trace on the far west side appears to extend about six miles beyond what was mapped prior to the quake. 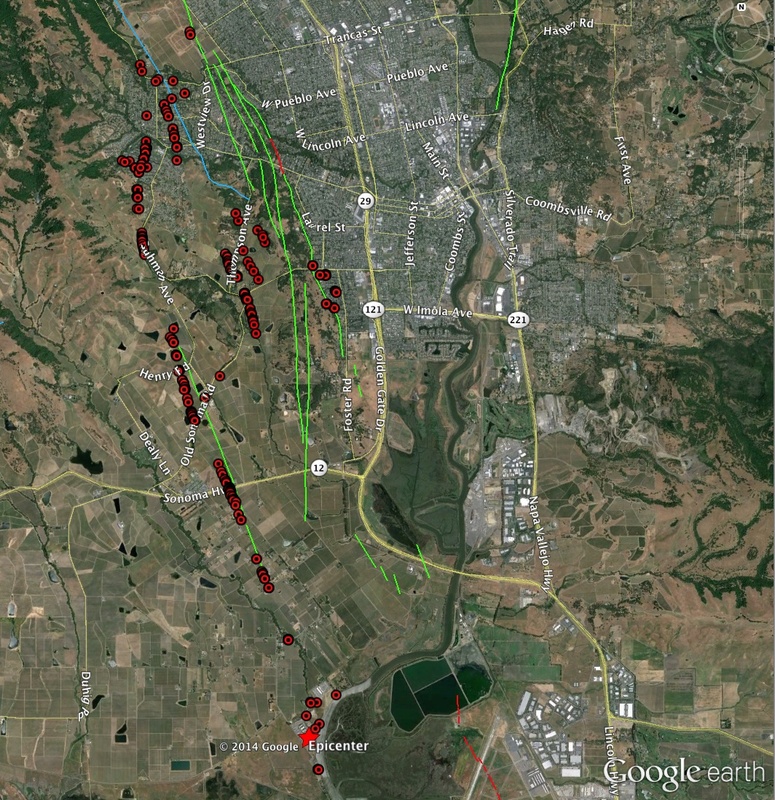 For official purposes, geologists had identified only a short stretch near the Napa County Airport as recently active. "That slip has to go somewhere," says Schwartz. "It doesn’t just end at the Napa Valley Airport. It’s in the Earth’s crust going northwest up into Napa Valley. Which fault or faults it’s released on really hasn’t been known." Schwartz says it will take some time to complete the picture, but remapping the jumble of north-south faults in the area will likely change the official fault maps and lead to building restrictions along the most active faults. "The bottom line," he says, "is that the young faulting we see at the south end -- that deformation, that slip -- certainly continues north into Napa Valley. What it sits on, exactly, that’s the question."